We have officially entered November, which means that the holiday season is upon us. There are many wonderful reasons to visit Hendricks County during the holidays, and I&apos;ve picked out ten of my favorites to share with you. In our house, the Christmas season means that the days fly by so quickly that you suddenly blink and it&apos;s January. It&apos;s helpful to get things down on a calendar in early November so that we don&apos;t miss anything. So I&apos;ll cover my Top 10 holiday events very briefly in this post so that you can get them on your calendar, and then follow this blog throughout the holiday season for more in-depth coverage of these events. 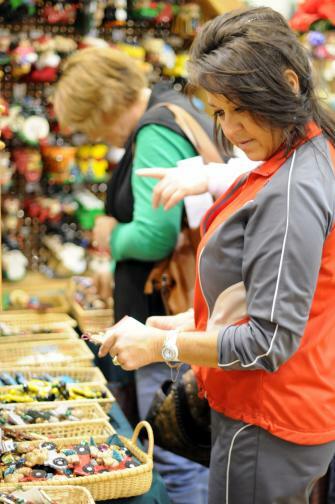 Get a jump on your holiday shopping at the 26th Annual Hendricks County Flyer Holiday Craft Show Nov. 12-13 at the Hendricks County 4-H Fairgrounds in Danville. From 9 a.m. to 3 p.m. on the 12th and from 10 a.m. to 3 p.m. on the 13th, more than 170 vendors will sell crafts, jewelry, specialty food, clothing and many other wonderful gifts for everyone on your list. An annual Christmas tradition, the Danville Train Show returns to the Hendricks County 4-H Fairgrounds on Nov. 19 from 10 a.m. to 3 p.m. as huge operating layouts, displays, model judging, vendors, door prizes and clinics are sure to captivate train enthusiasts of all ages. For more information, click here. On Nov. 19 and 26 from 10 a.m. to 4 p.m. each day, visit Beasley&apos;s Orchard in Danville for Beasley&apos;s Christmas at the Orchard. Experience an old-fashioned Christmas with free visits with Santa Claus, optional professional photos, games, crafts, face painting, live dulcimer music, food and great options for holiday gifts. For more information, click here. A favorite family tradition in my house, Danville&apos;s Christmas on the Square takes place the day after Thanksgiving -- Nov. 25 -- from 4 to 6 p.m. on the historic Hendricks County Courthouse Square. This free event under a beautiful canopy of lights features a live nativity scene, a trackless train, caroling, and Christmas characters strolling around. Christmas on the Square culminates with the lighting of the town&apos;s Christmas tree. The lighting of Danville&apos;s Christmas tree also marks the grand opening of the Winterland Christmas Light Show just down the street at Ellis Park. Drive through the park with the family while listening to Christmas music on the radio that is synchronized with the light displays. I can&apos;t even begin to guess how many thousands upon thousands of lights there are in this display, highlighted by a 30-foot-tall Christmas tree. The light show is open daily from Nov. 25 through Dec. 30, closed on Christmas Day. On Dec. 2, head out to western Hendricks County for Christmas in Coatesville. Downtown stores will be open for shopping, everyone can join in with local church choirs who will be caroling, and the town lights its Christmas tree at 6:30 p.m. Come back out to Coatesville on Dec. 3 for more shopping, and then fill your belly with chili with Santa beginning at 6 p.m. For more information, click here. An absolutely fantastic spot to do some holiday shopping is the Plainfield Tri Kappa Gingerbread Christmas, which takes place on Dec. 3 from 9 a.m. to 3 p.m. at Plainfield High School. More than 130 vendors will be on-site with unique, hand-crafted gifts, home decor, accessories, seasonal artwork, and more. This is a juried event, so you won&apos;t find any commercial or imported items here. Just one-of-a-kind, hand-crafted items. For more information, click here. The Town of Avon holds its Christmas Tree Lighting at Avon Town Hall Park on Dec. 3 beginning at 5 p.m., complete with train rides, games, crafts and fireworks! How about a parade...at night...in December? It&apos;s actually a lot of fun! Bundle the family up and line the streets of Brownsburg for the Christmas Under the Stars Parade on Dec. 3 at 6 p.m. The floats are great, the candy is plentiful and Santa Claus is there! Then head to Brownsburg Town Hall immediately after the parade for more Christmas fun, including the lighting of the town&apos;s Christmas tree. 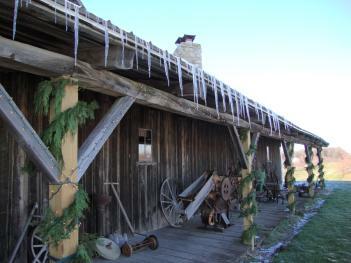 For something a little different, try visiting Natural Valley Ranch in Brownsburg for their Candy Cane Hunt on Dec. 10. Tickets are available for sessions at 10 a.m. and at 1 p.m., and kids can visit with Santa Claus, enjoy a petting zoo and munch on a snack from the popcorn bar while hunting for candy canes. For more information about this event -- and Natural Valley Ranch&apos;s Cookies & Cocoa event on Dec. 3 -- click here. These ten holiday events in Hendricks County are but a tiny fraction of all of the things to do in Hendricks County over the next couple of months. Be sure to check out the Visit Hendricks County Events Calendar for even more fun!